PrestoTuneUp is a new fake optimizer/cleaner (rogue). It is a clone of My Supervisor. PrestoTuneUp is made by the same creators of: FastAntivirus, MalwareCatcher, VirusShield, Extra Antivirus, Virus Sweeper, Ultra Antivir 2009, Virusdoctor, VirusMelt, VirusAlarm. Presto TuneUp detects nonexistent problems (registry, IE Cache, Cookies,...) to scare users. Unlike FastAntivirus/MalwareCatcher family, PrestoTuneUp doesn't detect malware. Fast Antivirus (aka Fast Antivirus 2009) is a new fake security scanner (rogue). It belongs to the same family as MalwareCatcher, VirusShield, Extra Antivirus, Virus Sweeper, Ultra Antivir 2009, Virusdoctor, VirusMelt, VirusAlarm. Fast Antivirus comes from fake online scanners and detects nonexistent malwares to scare users. Crusader Antivirus has been classified as rogue. This software is produced by TRITAX Limited Software Company (DuckForce). Looking at CrusaderAntivirus GUI and code, we can see references and common codes from AGAVA Antispy. 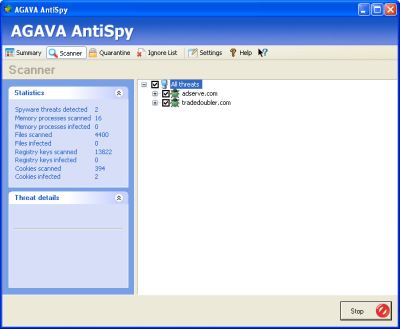 Crusader Antivirus is a clone of AVAGA Antispy, but AVAGA is free. Unlike Crusader Antivirus there's no need to register to remove detected items. New malware has been found, it hijacks Desktop Background and promotes System Security 2009 Rogue with fake alerts.